I’m very impressed with all the great information in this forum. Considering all the interaction between the professionals and the amateurs, this site is more than I hoped to find as I was looking for information to start my first serious home remodeling project. I live in Mesa, AZ (Phoenix) and purchased this house about 8 years ago. It is a single level home built on a slab. I’ve started to remodel the master bath. The bathroom was built for wheelchair access and had no tub. I’ve removed the old curbless shower and have removed an interior wall that angled across the bathroom. I plan to install a drop in tub within a tiled enclosure where the old shower used to be. The new shower will be built in the corner where the angled wall was. 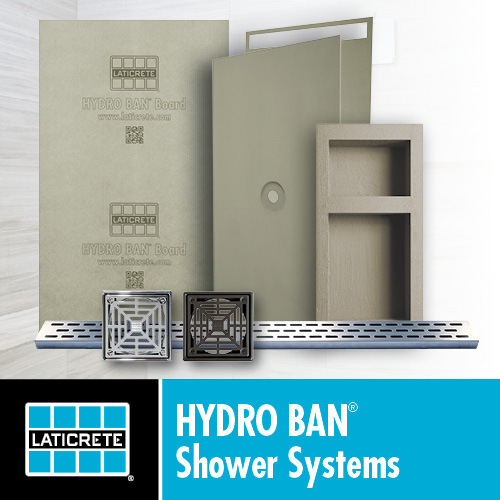 From reading through this forum I’ve learned a great deal about what is required to build the shower. At this point I have run the new tub and shower drains and have nearly completed the framing of the shower. I do not have any pressing questions at the moment, but thought I would post some pictures of my progress. I know I will have questions, but I’m still trying to get as much information as I can by reading through other threads. Weekends are the only chance I get to work on this so it may take 4 or 5 months. I lived in Phoenix years ago. I'll bet Mesa to Apache Junction is just about seamless now, eh? Looks like you have it all going your way. Are there traps under the drain fixtures? I was wondering how you guys keep the mice out! The traps are there. This whole area is growing like crazy. Apache Juntion and Mesa are almost 1. Okay, I've got one more for ya. It will be much easier to complete the shower if you eliminate the little return jambs on the front. Why not just make a three-wall shower with the front completely uncluttered? You can get a glass door to go clear across or have a fixed panel and a door. Think of it. No jambs to tile and no header to mess with. It's heaven, man. 1) As it now stands, on the shower side of the curb I will have less than 1/2" thickness for the curb mortar which is equal to the distance from the shower face of the wood curb to the tiling face of the 1/2" CBU, minus the tickness of the metal lath and pan liner. This did not seem to be enough. I thought about trimming the wood curb so that the face on the shower side would be recessed 1/2" from the framed wall, thus bringing the thickness available for the mortar close to 1". The problem with this is that it really complicates the constuction of the liner at the curb. To eliminate that issue with the liner the wood portion of the curb needs to be flush with the framed wall. In order to get closer to the 1" thickness for the mortar I decided I could leave the curb flush to the framed wall on the shower side and then put two layers of CBU on the shower side of the "return jambs" and header. 2) On the outside face of the wood curb I thought it would be no problem narrow the wood curb so that outside face of the wood curb would be recessed 1/2" from the outside face of the framed "return jambs", providing for close to 1" of mortar on the curb. I hope my thoughts are reasonably clear. Each individual wall section of the shower is nailed together, but I used screws to attach the wall sections together just in case I wanted to take it apart. It would be no problem to remove the framed front. I believe I can make it work the way I have it. What do you think? Last edited by PMedina; 03-13-2003 at 07:09 AM. Wonder why no one else has wandered in here. If you don't want to do the enclosure yourself, any residential glass shop can make a fixed panel for you and install a door that will clear. Actually the header can be a good thing if you have a proper exhaust vent in the shower enclosure. Otherwise the steam that collects will collect in the shower first then find its way out under the header (fir-down in Texas) and into the room rolling moisture on the entire ceiling no matter what. Got your email Paul and tried to answer but things went awry, hope you got it. Eliminating a header DOES NOT eliminate any steam, the header doesn't cause the steam. Mice aren't too bad breaded and deep fried! I know how you can eliminate steam. Take a cold shower. My wife has said basically the same thing to me before. OK - 3 walls it shall be. I will have to rethink a few things. This weekend I will spend time working on the plumbing and electrical. I will let you guys when I make some notable progress. Bud - I never saw the email. I've been getting a lot of junk lately, so possibly I overlooked it.